Before we can treat a bed bug infestation, it is important to know where they are and if they’re coming from somewhere else. If your home or business shares walls with other tenants, it is possible that bed bugs are coming from other units. Pest Innovations will send one of our expert, state-licensed technicians will perform a thorough walk-through of your home or business. Once we determine the source and scope and the infestation, we will customize a plan of action for you. My House Is Clean, How Did I Get Bed Bugs? Bed bugs enter the home through a variety of ways, most often by hitching a ride on you or your luggage. In apartments, bed bugs travel through wall voids and infest the entire structure. Bed bugs are not an indicator of uncleanliness. They spread quickly because they travel in suitcases, on clothing, in storage compartments and on used furniture. They can also move easily between walls in hotels or live in the fabric seats of movie theaters. Birds and other wildlife can transfer these pests to your property. A bed bug infestation is easy to acquire because all it takes is for one pregnant female to attach herself to you or your items before you find your home or work space infested. 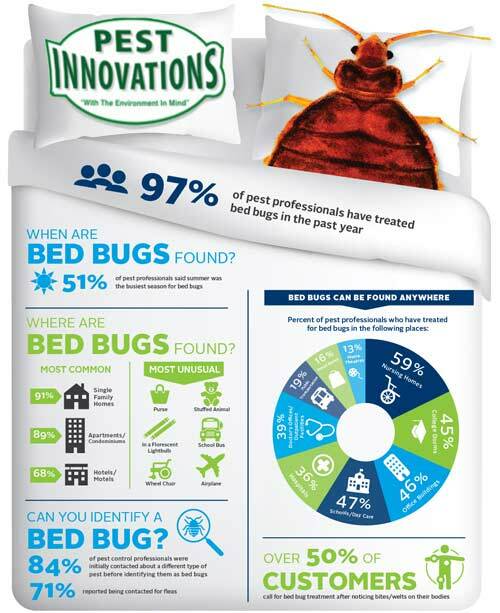 Pest Innovations offers several types of treatment options when it comes to bed bugs. The first option is a heat treatment. This treatment does not require you to be away from the home for more than a day. Our technicians use specialized equipment that has been designed specifically for destroying hard-to-reach bug populations. This equipment will raise the temperature in your home to roughly 150 degrees, which is hot enough to kill the bed bugs, but not hot enough to melt furniture or electronics. Read more about our heat treatment. 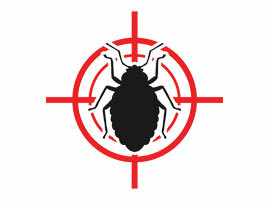 CrossFire is a revolutionary new treatment in bed bug extermination. Where other traditional pesticides fail at combating bed bugs, CrossFire has been scientifically formulated to kill pyrethroid-resistant bed bug strains at all life stages and prevent bed bugs eggs from hatching. The combination of two pesticides in CrossFire is the secret of it's effectiveness, the first delivering a quick kill and the second providing a strong residual effect. With our CrossFire bed bug treatment, you can expect continued bed bug control for up to 30 days. CrossFire does not stain fabrics or carpets and will not leave stains in treated areas like mattresses. Learn more about CrossFire. Fumigating properties for bed bugs is often a recommendation when other pests like termites are present. 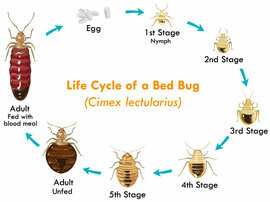 This is because there are less invasive and more cost effective methods of treating bed bugs. Fumigation does require you to be out of the home for 72 hours and you will need to prep your belongings and remove unsealed food items. I recently discovered I had bed bugs in my home. The stigma is a feeling that most everyone has, a bit of shame, I must be a dirty person. The silence, the feelings we have to live with, hear this, "it happens to a lot of people". The people who were there for me to help me through the process - Pest Innovations in Glendora, were kind and quick to point out this was not my fault. They were sensitive in their handling, not only with the actual ridding process, but helped to lift the stigma in my mind that I caused the problem. They explained that bed bugs are the best hitch hikers in the world and also explained further how it could happen (to the best of us) in so many ways. Their business model is state of the art handling of a "more than you realize" common problem. 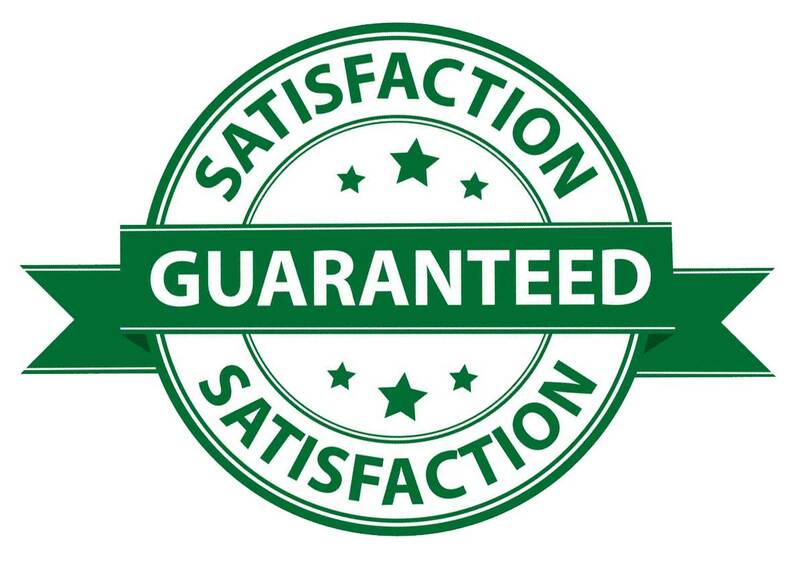 They are through, diligent and concerned for the customers state of mind, and help you through the process, so much so, it gives you a great peace of mind even though you're dealing with an unfamiliar journey. The entire staff, office included, are deeply invested in carrying out their work in a diligent fashion. They take a great deal of pride in what they do, and their level of commitment is fantastic. Bottom line - They deliver quality in their work. I'm hoping this review show cases the level of dedication they bring to each customer. I was horrified to learn I had bed bugs. George was the first person I spoke to after wasting hundreds of dollars on extermination that did not work. George gave me a quote on the phone for heat fumigation treatment. He then came to my house a couple of days later and treated my house. His team was awesome. They did a great job and I haven't had any bites since. Would highly recommend him to anyone. I liked George, the owner, right from the start. He is very professional and gave me a good quote for the job of getting rid of bed bugs. He also offered a guarantee for his work. His associates were polite and conscientious as well. I would highly recommend him to others. Pest Innovations did a great job. What impressed me the most was that the owner spent 30 minutes with me discussing my bed bug problem and options. They were also able to come out the next day after I called them. They worked their magic while I was at work. The only caution I have for anyone considering the high heat treatment is that it can damage items and paint. This was all explained to me however, and I made the choice to do it regardless. It was a small price to pay, however, and I am so relieved to be able to sleep again.